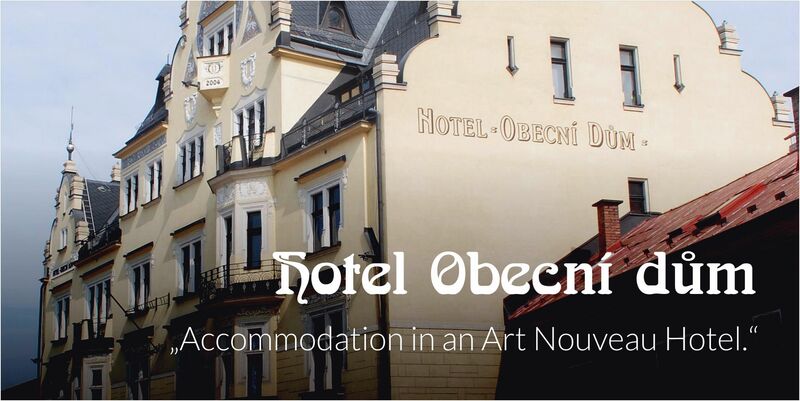 We offer accommodation in the historic Art Nouveau Hotel Obecní Dům, in the center of city Semily. There are single to quadruple rooms available. The rooms have a nice view to the city center. The hotel has a lift and wheelchair access, and WiFi is available for free.